We’re less then twenty-four hours away from the final race for the MINI JCW Team. 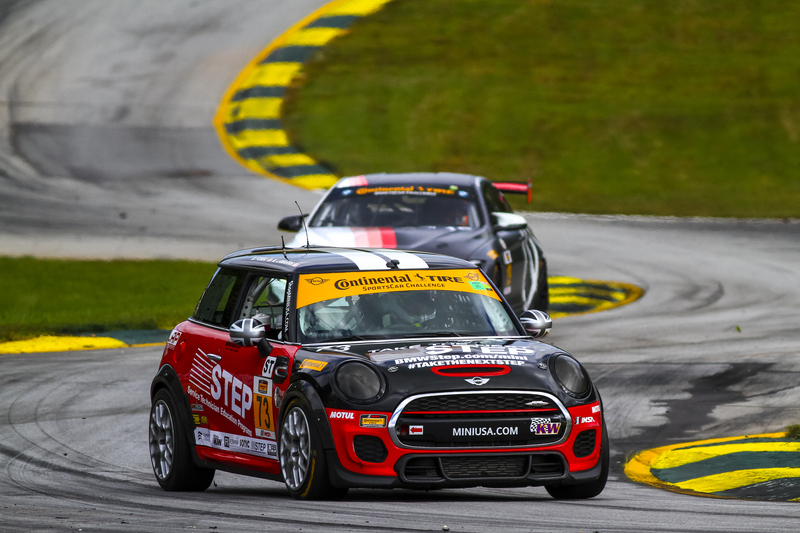 The team is hoping to go out on top by winning the manufacturer’s championship for MINI. With qualifying complete for the for FOX Factory 120 we now know where they will start the race. Nate Norenberg put in the fastest lap for the MINI JCW Team with a 1:37.437, less than a quarter-second off of the pole. Norenberg will start the 37 in second, with the 73 in fourth and team owner Luis Perocarpi will start the 52 in fifth. The 81 won the pole, and has manufacturer BMW ahead in the standings by two points. But be sure all three MINIs will be putting up a strong fight in their effort to win the championship. The highest finishing car out of BMW and MINI will take home the trophy.